Last year I spoke to you about Therafit Shoes and, THIS year, I want to bring them to your attention, again!! I love these shoes SO MUCH that they really deserve a spot in our Holiday Gift Guide without so much as a second thought! They are just so comfortable, and they are designed with your own, individual comfort and need in mind, with their specisl PCS (Personal Comfort System) that you can adjust for varying resistance and performace based on your desired fit and the way you want to use them! Co-Developed by Dr. Lisa Masterson from [award winning] 'The Doctors' series, Therafit are designed with health and welbeing in mind, while helping with posture and impact as you walk or work out, or for every-day use and flare! Therafit shoes come in a range of colors and styles and sizes to fit most! I am a size 11 and I am ALWAYS so happy to find a shoe in this size and Therafit accomodates me very well with their sneakers, which include these Deborah Black/White Sneakers - lightweight, walking shoes, for women, which really allows me to run errands through the day, on foot [in style], without the aches and pains of ill-fitting shoes! 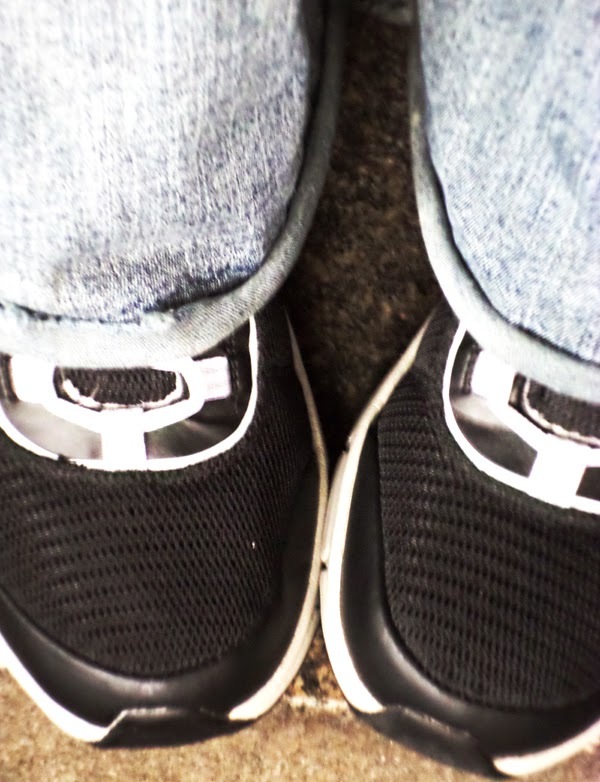 I am on my feet all day and I wear Therafit sneakers just about everywhere I go! Even when I am in the home, I wear Therafit sandals, too! These shoes, across the entire range, are just so delightfully comfortable that it feels as though they were made just for me - and I am sure you are going to feel similarly, too! If you want to check out more from Therafit, then why not head on over to their website HERE and take a look at what they have to offer! You can also follow them on Twitter @TherafitShoe and visit their Facebook page to keep up with the latest news, too! Would you like the chance to WIN a pair of Therafit shoes for yourself, just in time for the holiday seasonal dashing around, or as a great gift to add to your list for someone special? Well, here is your chance! Therafit, as fabulous as they are, are offering you the chance to win 1 pair of their sneakers, in your size [where available] and all you have to do is enter via the Rafflecopter form, below! There are simple entries and the more you do, the more chances you have to win, but no entry is at all mandatory, what you do is up to you - and, remember! You can tweet DAILY for extra entries, too! You must be over 18 to enter, or have your parents permission to do so. All entrants have a chance of winning as this is a randomly drawn via Rafflecopter. The winner will have 48 hours to respond to the winning notification email before their prize becomes forfeit and we pick a new winner - we do this to keep our giveaways timely and in order - so please enter with a valid email address as this is how we will contact you, if you should win! Contest starts at 12am on 11/11 and ends on 11/25 at 12am [on the dot] - no entries will be counted there after. It is our right to stop, postpone, cancel or restart this giveaway at ANY time should a problem arise that can not be remedied outside of Rafflecopter. We will remove all erroneous entrants and cheater will be disqualified. Please only enter each entry requirement if you actually participated in that particular request - we will be checking, just so you know! SO! Now that you are familiar with the nitty-gritty, what are you waiting for!? Enter via the form, below AND...GOOD LUCK! *Note: Neither Mom's Gone Bronson, nor any other blogger promoting this giveaway, is responsible for this prize. The responsibility of prize fulfillment falls to Therafit Shoe. Thank you! 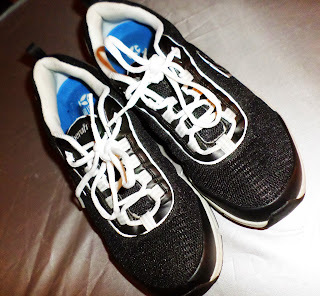 Disclaimer: I was provided a pair of Therafit sneakers in order to perform this review and giveaway. I am not in any other way being compensated for this post and my thoughts and opinions on Therafit are my own, honest opinions based on my experience with the brand. Your views may differ, thank you! I would love to walk a mile in my own shoes.... as long as they don't hurt my feet. I have a lot of problems with my feet and would sure like to try the Therafit to see how they would work for me. I've been looking for a comfortable around-the-house sneaker so I don't wear slippers all day (and get funny looks from the neighbors). Entered and hoping to win! Before I started working outside the I would live in my sneakers. I need another good pair. I've heard SO many good things about Therafit! I would love to own a pair. They look so comfy and I LOVE that you can adjust the cushioning! My Mom tried a pair of their shoes and loved them. I don't think she knows they make sneakers. My mother in law has a size 11 and has a hard time finding shoes she likes. I will definitely share this link with her! I have horrible feet so would not dare to try and win a pair. But I will keep my eye out in the stores for them. It is so important to have comfortable shoes. These look like they are great for being on your feet. I really like the Therafit Mary Janes. They look classy and comfortable. Hey, I like your new walking shoes. They look really comfortable. How much they cost you? When you are going to arrange next cute comfortable walking shoes giveaway. I'd love to buy a pair of shoes for my mother Christmas this year.And this article was great helping me get ideas.Thanks for sharing ! Therafit Shoes is free! My bad luck because I am late to know about the contest. I love black and white designed shoes! Was the contest free for join and win? Too bad I missed this giveaway! A friend loves this pair and constantly encourages me to give it a shot! I hope it fits me perfectly if I decide to buy it.